Manchester City has today confirmed the signing of Sergio Agüero from Atletico Madrid. The 23-year-old is to sign a five-year deal at Eastlands. City had been after Agüero for sometime after striker Carlos Tevez had expressed his desire to quit the Premier League. 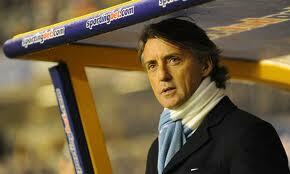 However, Mancini also hinted that even if Tevez remained at Eastlands, City would still seek to complete the deal. Manchester City has confirmed that Agüero could make his City debut in the Dublin Super-Cup this weekend. Shay Given has earlier completed his move from Manchester City to Aston Villa; Given put pen to paper signing a five-year deal at Villa Park, while the goalie was seeking first team action. Shay Given found his opportunities limited at City last season due to the form of current England goalkeeper Joe Hart. Aston Villa had been on the lookout for a goal keeper after their goalie Brad Friedel departed for Tottenham Hotspur. Aston Villa released a statement saying “Aston Villa are delighted to confirm that Shay Given will be unveiled tomorrow (Tuesday) as the club’s new goalkeeper, having agreed a five-year deal to June 2016. “The 35-year-old Republic of Ireland international completed a medical over the weekend and the formality of his signing this morning. Carlos Tevez has once again reiterated that he wants to leave Manchester City, the South American has struggled to settle down at Eastlands and has asked the fans to understand the reason he wants to leave. Tevez has always insisted that he finds it hard being so far away from his family and that me misses his daughters immensely who live back home in Argentina, in December Tevez submitted a transfer request to the club but shortly after he decided against the decision after clear the air talks were held with the club. His long term future was always subjected to speculation, but it was inevitable the striker would leave at the end of the season. Tevez who is currently on international duty with Argentina in the Copa America and he has claimed that when the tournament is over. He doesn’t want to return to Manchester. “It is with great regret that I have to inform Manchester City of my wish to leave the club,” he said in a statement. “I would like to state that I have great respect for the club, its supporters and the owner, Sheikh Mansour, who has been nothing other than respectful to me. Tevez has always insisted that he was 100% committed to the club, but after spending time with his family over the summer. The front man has now declared that he needs to leave the club to be closer to his family. “I hope that the people understand the difficult circumstances I have been living under the past 12 months, in regards to my family. “Living without my children in Manchester has been incredibly challenging for me. “Everything I do, I do for my daughters, Katie and Florencia. I need to be closer to them and to spend more time with them. “I need them to be happy because my life is about them now. I need to be in a place where they can adapt. Tevez made 86 appearences while scoring 53 goals at City and he played an important part in City winning the FA Cup and securing a Champions League place for the club this season. “Being captain of Manchester City, qualifying for the Champions League, winning the FA Cup and finishing as top-scorer last season has made me very proud. “I hope that most of the City fans will understand that I have given them my all on the pitch and that my dedication to the City cause has been 100% on the pitch. “I hope I have done my bit to help City continue their progress towards their ambition to be champions of England and to advance in the Champions League. Tevez has done his best for the club and always gave 100% to the City cause. Anyone with children can fully understand that the Argentine player wants to be closer to his daughters. He has been away from home for long periods of time without seeing his family and his decision should be respected by the fans. Tevez has more than paid back the City faithful with his goal ratio for the club. Inter Milan have ruled out a move to sign Carlos Tevez, it was thought the striker is unsettled at Eastlands and a move to Italy would interest the Argentine but Italian giants insist Argentina international is too costly. But director of football Marco Branca insists he is out of their range, despite their interest, although Italy is one of the few clubs who could afford Tevez. “Tevez is a great player, a great character, but absolutely no. His salary means it is out of the question,” Branca said. “The market is crazy at the moment and it is hard to compete. “We have to organise our finances for the financial fair play rules in the next two years. “We don’t have the same revenues from merchandise and match day as the English sides. Manchester City has been rocked by the news that Carlos Tevez wants to quit the Eastlands sparking worldwide transfer frenzy for the Argentine, this comes only days after manager Roberto Mancini insisted that his skipper will stay. Carlos Tevez initially handed in a transfer request towards the end of last year but was persuaded to stay, but it now seems that striker as clearly made up his mind. “Football has changed a lot for me and I don’t know if I will even make it to the next World Cup. And that has nothing to do with whether I’m selected or not,” he explained, adding that an unlikely move back to his homeland would be his preferred option. “To go back to Boca Juniors would be beautiful but it is very difficult. 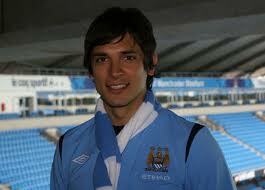 Blackburn Rovers have secured the return of Roque Santa Cruz from Manchester City, the Paraguayan will join the club on loan until the end of the season, the striker netted 23 times from 57 games for Blackburn during the 2007/2009 seasons before signing for Manchester City for 17.5 . However that 29-year-old has struggled to maintain a first team place and City manager Mancini has happy to let the striker go out on loan, Santa-Cruz is Steve Kean’s newest signing since taking over at Blackburn and he would like to make the move permanent if he impresses. “Roque had a fantastic time when he was first here and he showed his quality,” said Kean. “Hopefully he’ll do that again until the end of the season. “It’s massive from his point of view because he doesn’t have to settle in at a new club. He’s coming back to a place that was special to him and I’m sure he’s going to deliver just as good or even better. “We’re trying to speak to Manchester City at the moment regarding an option about signing Roque at the end of the season, so we don’t know about that yet.